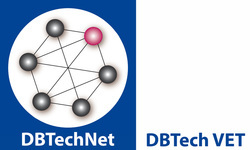 DBTech VET Teachers is the third (3rd) DBTechNet project to receive financial support from the European Union. The one-day workshop comprises a sequel to analogous events organised by the University of Malaga in Spain, and by the HAAGA-HELIA University of Applied Sciences in Helsinki, Finland. The character and the content of each one DBTech VET event is shaped by the current stage of the project. In this respect, the Thessaloniki workshop differs from the Helsinki one in that the hands-on laboratory session is scheduled to utilise both the morning as well as the afternoon sessions; there will be no theoretical introduction (tutorial) part to it. have read and followed the directions listed in the "Info Corner" page. teach the relevant concepts, techniques and skills at the vocational training and/or higher education level, in the form of a database technology course module. * Many thanks to Radio Classicalways for the inspiration!